The team at Machinery Indents is committed to the best products, backed by impeccable customer service. This approach has built us a great reputation, with clients from around Australia returning for all their rebar cutting machine and shear line machine requirements. Our team are ready to answer all your questions and queries, ensuring you have all the information you need to make an informed decision. Pick up the phone and call us on 03 9357 9896 to talk to one of our helpful staff, or use our online enquiry form and we will get back to you as soon as we can. 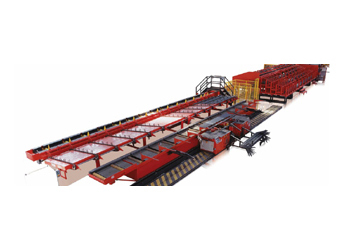 The CUT LINE is a full automated plant designed for cutting, distribution and automatic bending of rebars, managing the whole production cycle at an extremely high flexibility level and assuring high productivity. The LTM is a plant for the rebar cutting, designed for heavy duty work, easy to operate and to maintain. 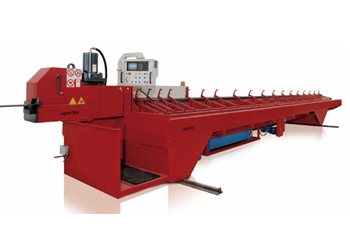 It is equipped with high capacity hydraulic guillotine shears available in different configurations. These features are particularly appropriate for production in high volume and big cutting series consisting of large amount of identical bars (same diameter and size). 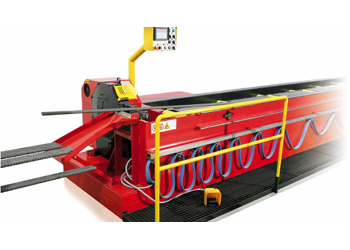 The SUPERFLEX can process and cut stock rebar at very high level of productivity and tolerance accuracy. It is based on a very strong and reliable heavy duty structure that can be managed by a single operator. The FlexiPlus is designed with a mobile holding rack, aligning with the extraction feeding unit. It cuts the bars and unloads on both sides, being equipped with a great number of locations in the collecting racks, all suitable to be loaded automatically. This solution reduces the number material transitions, containing the overall dimensions of the plant and the number of operators. The CT is a robust and very easy to use cutting bench equipped with a strong and powerful electro-mechanical shear. The simple configuration and limited footprint make it extremely versatile in any lay-out configuration.